The Canadian Pediatric Society found a need for a resource for teachers and school staff that will act as an engaging and efficient way of learning the important concepts that are necessary in dealing with students in the classroom with type 1 diabetes. The Diabetes@School video series makes it easy for teachers and school staff to learn how to support students with type 1 diabetes in a school setting. Each video in the series focuses one key concept in daily classroom management, or what to do in an emergency situation. 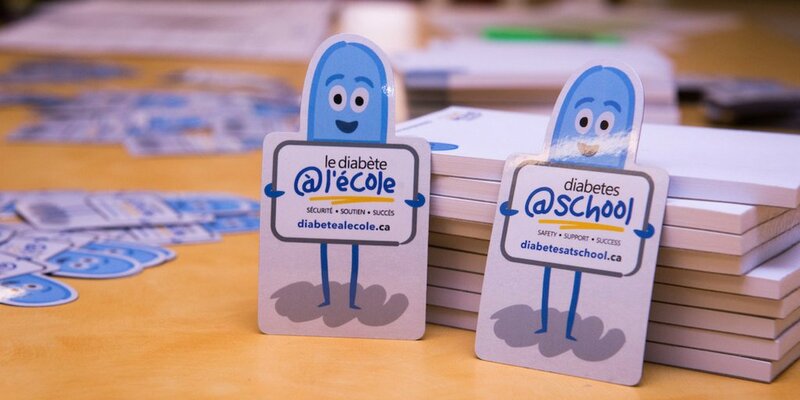 The visual style is inspired by the Diabetes@School logo and Dilly, the main character, acts as a mascot and guide to explain the concepts to the audience. I worked on most aspect of the process: Script editing: simplifying complex concepts to fit within the video's time constraints. Storyboarding: visualizing sometimes abstract concepts to be easily understood by a general audience. Illustrations: creating all the artwork in digital illustrations to fit the visual style established. Motion editing: Providing feedback to the motion artist to on timing and emphasis. While working at Pivot Design Group, as a visual designer, I worked closely with Lauren Levy to create this video series.